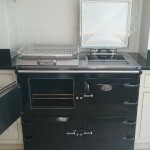 Oven & Range Cleaning – your Aga Cleaning Specialist Monmouth. 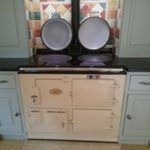 Here we are, coming up to this year’s Aga cleaning season, the time when customers begin switching off their Aga, Rayburn, Everhot, or Esse stoves ready for the warmer weather. Of course, all ovens are the heart of the home, so meticulous, careful cleaning is essential. For Aga, and all cast iron units, such as Everhot, Rayburn, and Esse, we use a gentle but extremely thorough steam cleaning system. We inspect and clean every detail, and the ovens look so good when we are finished; shiny from the inside of the hob lids right down to the door hinges. We pride ourselves in our meticulous attention to detail. Our system is unique; we don’t have to rely on a vehicle-based soaking tank. We don’t keep going out to soak oven parts. Our method is safe for children and/or pets, and for properties where there is septic tank drainage. 100% biodegradable and non-caustic method, and we drive a no-emission electric car. Bright, fresh, and sparkling clean from the top of the pan lids, right down to the door hinges, and as near showroom condition as possible. If you’re about to start the spring cleaning, but can’t face the thought of tackling cleaning your Aga cast iron range, then call us now. At your service and delighted to help.